There is a considerable debate both in academic circles and in the blogosphere about whether Thomas Jefferson should be included within the ranks of conservative thinkers. For example, this piece by noted Calhoun scholar and Southern historian Clyde Wilson argues that Jefferson was a model conservative. This article by Claudio J. Katz argues that Jefferson is best understood as a liberal anti-capitalist. In the debate evaluating Jefferson's place on the left-right spectrum Jefferson's religious views deserve attention. His [Jesus's] object was the reformation of some articles in the religion of the Jews, as taught by Moses. That sect had presented for the object of their worship, a being of terrific character, cruel, vindictive, capricious, and unjust. Jesus, taking for his type the best qualities of the human head and heart, wisdom, justice, goodness and adding to them power, ascribed all of these, but in infinite perfection, to the Supreme Being, and formed him really worthy of their adoration. Moses ad either not believed in a a future state of existence, or had not thought it essentially to be explicitly taught to his people. Jesus inculcated that doctrine with emphasis and precision. Moses had bound the Jews to many idle ceremonies, mummeries, and observances of no effect toward producing the social utilities which constitute the essence of virtue; Jesus exposed their futility and insignificance. The one instilled into his people the most anti-social spirit toward other nations; the other preached philanthropy and universal charity and benevolence. The office of reformer of the superstitions of a nation, is ever dangerous. Jesus had to walk on the perilous confines of reason and religion; and a step to right or left might place him within the grasp of the priests of the superstition, a blood-thirsty race, as cruel and remorseless as the being whom they represented as the family God of Abraham, of Isaac and of Jacob, and the local God of Israel. They were constantly laying snares, too, to entangle him in the web of the law. He was justifiable, therefore, in avoiding these by evasions, by sophisms, by misconstructions and misapplication of scraps of the prophets, and in defending himself with these their own weapons, as sufficient, ad homines, at least. That Jesus did not mean to impose himself on mankind as the son of God, physically speaking, I have been convinced by the writings of men more learned than myself in that lore. But that he might conscientiously believe himself inspired from above, is very possible. The whole religion of the Jew, inculcated on him from his infancy, was founded in the belief of divine inspiration. The fumes of the most disorded [sic] imaginations were recorded in their religious code, as special communications from the Deity; and as it could not but happen that in the course of ages, events would now and then turn up to which some of these vague rhapsodies might be accommodated by the aid of allegories, figures types, and other tricks upon words, they have not only persevered their credit with the Jews of all subsequent times, but are the foundation of much of the religions of those who have schismatized from them. Elevated by the enthusiasm of a warm and pure heart, conscious of the high strains of an eloquence which had not been taught him, he might readily mistake the coruscations of his own fine genius for inspirations of an higher order. This belief carried, therefore, no more personal imputation, than the belief of Socrates, that himself was under the care and admonitions of a guardian Daemon. Letter to William Short, Aug. 4, 1820, reprinted in In God We Trust: The Religious Beliefs and Ideas of the American Founding Fathers, edited by Norman Cousins (Harper & Brothers: 1958), pgs. 153-154. One need not be religious, of course, to be a conservative. There are many conservatives, both in history and in the current age, who don't believe in God or practice a religious tradition. Noted conservative writer George Will, for example, has been quite open about his lack of religious belief, describing himself as an atheist. But it is very difficult to be a conservative, even if one believes in God, if one does not respect the wisdom found in traditional religions. Jefferson, not in his disagreement but in his dismissal of both traditional Christianity and traditional Judaism, demonstrates a deep suspicion and hostility to received faith. Such a disposition cannot be reconciled with a conservative temperament. Whatever else he may have been, Jefferson was not a conservative in matters of religion. I think you cannot avoid giving, as preliminary to the comparison, a digest of his moral doctrines, extracted in his own words fro the Evangelists, and leaving out everything relative to his personal history and character. It would be shore and precious. With a view to do this for my own satisfaction, I had sent to Philadelphia to get tow testaments (Greek) of the same edition, and two English, with a design to cut out the morsels of morality and paste them on the leaves of a book, in the manner you describe as having been pursued in forming your Harmony. But I shall now get the thing done by better hands. Letter to Joseph Priestly, January 29, 1804, reprinted in In God We Trust: The Religious Beliefs and Ideas of the American Founding Fathers, ed. by Norman Cousins (Harper & Brothers: 1958), pg. 171. The letter from Jefferson to Priestly provides three key insights about the context surrounding the Jefferson Bible. First, Jefferson was not engaging in a unique activity. He wasn't the only one engaging in the production of the Gospel harmony designed to spread a vision of Christianity that was grounded on the moral teachings of Jesus, rather than in the New Testament's teachings about Jesus. Jefferson notes at the end of the passage quoted above some relief at the idea that Priestly is working on a harmony because of Priestly's greater skills at producing such a study. Second, Jefferson's advice indicates the key to this method: focusing on the words of Jesus rather than the explanation of those words provided by the Evangelists and the other writings in the New Testament. Jefferson's approach fused an antiquarian approach to the Gospels -- trying to get back to the earliest strata of the teachings of Jesus -- with a belief that the Gospel accounts as we have them were an accurate source of those words. Hence, Jefferson sought not only to take the words of Jesus from the New Testament as translated into English, but he sought to take the words from the Greek New Testament as well. It turns out that Jefferson was incorrect about the words of Jesus in the Gospels being the earliest strata of information we have about Jesus -- the epistles of St. Paul were written earlier than any of the Gospels as we currently have them -- but that's an error of application, not of method. Third, at the time of the letter to Priestly, Jefferson sought to undertake his harmony for his "own satisfaction." Jefferson didn't seek to publish his study at this point, but was thinking of compiling his study for his own use. The nature of how he sought to carry out the composition of the harmony -- cutting out the relevant texts from his copies of the New Testament and pasting them into the "leaves of a book," indicates that he wasn't thinking of sending the text to a publisher. 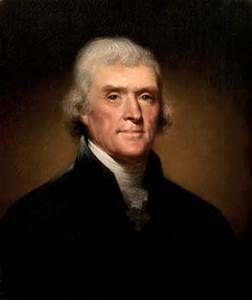 It was to be a private book indicating his own private thoughts, something quite understandable given the fact that Jefferson was a sitting president, an active politician, and one who was constantly dogged by allegations of infidelity regarding religion. For good reason he might seek not to widely publicize his views regarding the nature of Jesus of Nazareth, his life, and his ministry. Because he was a principal defender of that world of reason, and order, and peace, and virtue in which the United States participated, through its inheritance of civilization. Constitution, custom, convention, and prescription give society a health continuity, as Burke knew; and he pointed out that prudent change is the means of our preservation; he understood how claims of freedom and claims of order must be kept in a tolerable tension. Such truths he taught not as a closet-philosopher, but as a practical statesman and manager of party. His speeches and pamphlets were read by the men of 1996 and the men of 1787 -- and studied with yet closer attention after 1789. No other political thinker of their own time was better known to the American leaders than was Burke. Burke was an English Whig politician and theorist, a member of Parliament at the time of the American Revolution and an ardent defender of the British constitution in the face of dangerous innovation from abroad. 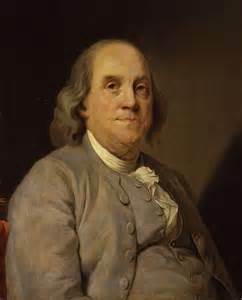 At the time time, he was a proponent of reform and sought reconciliation with the American colonies in the run-up to the American Revolution. 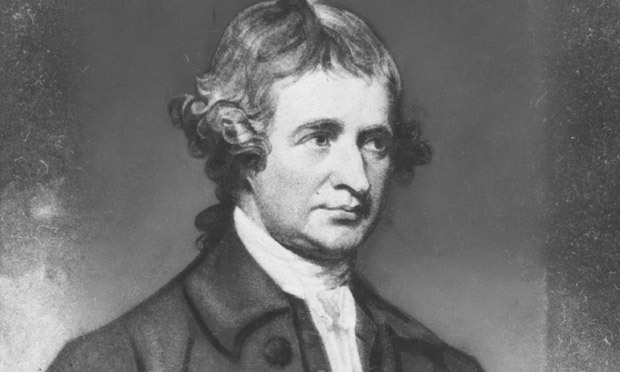 At the foundation of the American concept of liberty is, among other sources, Burke. And as Kirk points out, not even the American Federalists can substitute for Burke's wisdom in guiding the course of prudential politics. The op-ed is from a while ago (2012), but here's Lawrence Lindsey over at the Wall Street Journal reflecting on the question in this blog post's title: Geithner and the "Privilege" of Being American. As Lindsey points out, the Founding Fathers thought that our fundamental rights of life and liberty precede the State. In other words, the State does not provide us with our rights and grant them to us, rather the State merely recognizes rights that already exist. Our rights are not boons provided to us by our betters, by those who rule over us. The task of our leaders is to protect the rights that are ours by nature. Of course, rights and duties need effective expression though the positive law. 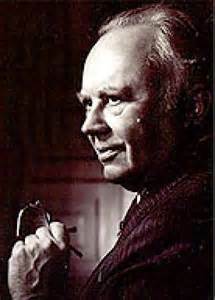 As the late Russell Kirk never tired of pointing out, natural law and natural justice are not substitutes for positive law, but rather the predicates upon which positive law depends to function properly to order human community towards order, justice and peace. The weak spot in Lindsey's argument is that he fails to identify precisely where our rights do come from. If not from the State, then what is their basis? For the Founders, the source of our rights is divine Providence, in the God who creates and sustains the world -- "nature's God" to use a phrase from the Declaration of Independence. At the root of liberty, at the root of limited government, at the root of human freedom, is the truth that prior to and above the State there exists a Power to whom the State itself is subordinate. Take away that truth and the foundation for human rights & limited government collapses in a heap. This is what is called the law of nature, "which, being coeval with mankind, and dictated by God himself, is, of course, superior in obligation to any other. It is binding over all the globe, in all countries, and at all times. No human laws are of any validity, if contrary to this; and such of them as are valid, derive all their authority, mediately, or immediately, from this original." "And yet the same revolutionary beliefs for which our forebears fought are still at issue around the globe -- the belief that the rights of man come not from the generosity of the state, but from the hand of God." Amen to that, Mr. President. Amen to that. Man vs. Nature. Who Won? Five posts to inspire reflection and conversation over the upcoming weekend. There's a common thread to all the posts, but instead of spoiling the fun by saying what it is, I'll leave it up to each reader to determine what links these five posts together. Have a great weekend! 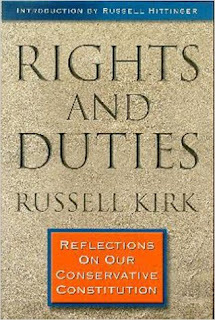 Early in the book, Kirk points out that our “Constitution had been designed by its Framers, in 1787, to conserve the order and the justice and the freedom to which Americans had grown accustomed.” Thus Kirk takes issue with ideologues who seek to convince us that America was created ex nihilo through the drafting of an abstractly philosophical Declaration of Independence. The Declaration, and the War for Independence, must be seen as our Founders saw them: as defensive measures intended to protect Americans’ traditional and chartered rights from an overreaching English Parliament. That's just a taste of Frohnen's review -- read it all, and better yet, get a copy of Kirk's book and read it closely. There is much wisdom there. 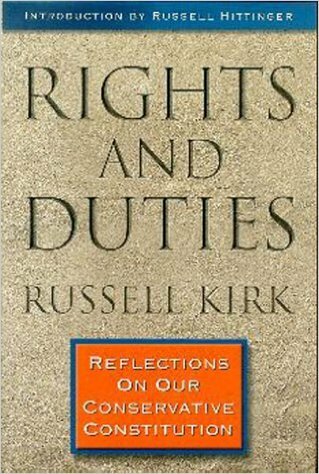 I first read Kirk's book on the Constitution when I was a law student, and it was the first book by Kirk that I ever read. I was immediately impressed by his wisdom and insight, and quickly devoured everything he had written that I could get my hands on. I would have loved to have met him and studied with him, but alas that was not to be. But he lives on in his writings, and thanks to them we can all be Kirk's students. And he is a fantastic teacher! Of history and literature and on the roots of our country's polity and order. 1. Heavenly Father, 2. May all revere thee, 3. And become thy dutiful Children and faithful Subjects. 4. May thy Laws be obeyed on Earth as perfectly as they are in Heaven. 5. Provide for us this day as thou hast hitherto daily done. 6. Forgive us our trespasses, and enable us likewise to forgive those that offend us. 7. Keep us out of Temptation, and deliver us from Evil. Benjamin Franklin, Autobiography, post-1784, quoted in The Founders on Religion: A Book of Quotations, edited by James H. Hutson (Princeton Univ. Press: 2005), pg. 166. Our Father which art in heaven, Hallowed by thy name. Thy kingdom come. Thy will be done, as in heaven, so in earth. Give us day by day our daily bread. And forgive us our sins; for we also forgive every one that is indebted to us. And lead us not into temptation; but deliver us from evil. Thomas Jefferson, The Jefferson Bible: The Life and Morals of Jesus of Nazareth (Beacon Press: 1989), pg. 87. When referring to the religious view of the Founders, it is easy to fall into anachronism on either side, either viewing the Founders as a whole as proto-evangelicals or viewing them as proto-free thinking "New Atheists." Both views are incorrect. 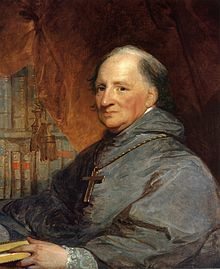 Even the most secular of the Founders were strikingly religious by modern standards, and affirmed beliefs in strong-theism, of a personal God who intervenes in human affairs, responds to prayer, who authors a moral law, and who will hold each human being accountable for their violations of that law as well as for how they treat those who have sinned against them. Ben Franklin and Thomas Jefferson both testify to this fact. Rhetoric as a necessary component of a liberal education: "Oh, that's just rhetoric," is a refrain that sadly is heard far too often in regard to politics or any kind of civic engagement. But as this article by Sean Lewis over at The Imaginative Conservative rightly points out, the study of rhetoric -- the presentation of ideas and concepts -- is critical for liberal education. The study of rhetoric is one of the pillars of classical education, and the recovery of the integrity of rhetoric is essential to forming a disciplined mind. 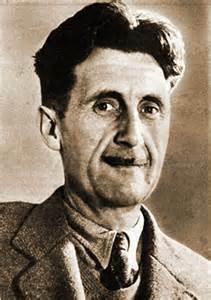 One good place to start a study of the use of language is with George Orwell's magnificent treatise on writing & rhetoric: Politics and the English Language. Reagan's agenda in his own words: as the country prepares for another presidential political campaign, the memory of Ronald Reagan will no doubt be powerfully in mind for conservative & Republican voters. It might be a good idea to see the consistency and the changes in Reagan's approach to politics and policy across his life in politics. Below are three examples, from the beginning, peak and close of Reagan's political career, of speeches where Reagan set out his political vision. The conservative understands that the circumstances of men are almost infinitely variable, and that any particular political or economic policy must be decided in the light of the particular circumstances of time and place -- an enlightened expediency, or prudence ... Conservatism, I repeat, is not an ideology. It does not breed fanatics. It does not try to excite the enthusiasm of a secular religion. If you want men who will sacrifice their past and present and future to a set of abstract ideas you must go to Communism, or Fascism, or Benthamism. But if you want men who seek, reasonably and prudently, to reconcile the best in the wisdom of our ancestors with the change which is essential to a vigorous civil social existence, then you will do well to turn to conservative principles. The high-minded conservative believes in Principle, or enduring norms ascertained through appreciation for the wisdom of dead generations, the study of history, and the reconciliation of authority with the altered circumstances of our present life. He is a highly reasonable person, although he looks with deep suspicion on the cult of Reason -- the worship of an abstract rationality which asserts that mundane planning is able to solve all our difficulties of spirit and community. But the high-minded conservative detests Abstraction, or the passion for forcing men and societies into a preconceived pattern divorced from the special circumstances of different times and countries. From Prospects for Conservatives (Regnery Gateway: 1989), pg. 8-9. Within that passage from Kirk is the antidote to virtually all of the big picture problems that have developed on the Right for the last 35 years. An interesting essay on that topic by J.W. 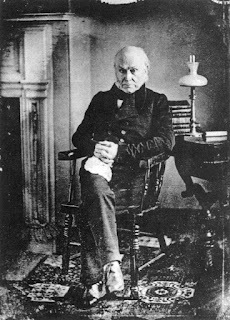 Cooke is now posted over at the First Principles blog: The Fragile Balance: John Adams on Liberty and Equality. Adams' view of liberty was grounded in a belief in divine providence, as Cooke points out, a providence that decreed not only the fate of nations but also the fate of individuals. Since providence would place different people in different circumstances, strict equality was not only undesirable, it was impossible. Adams looked to four sources for a tolerable solution to this painful dilemma. The first was Christianity. “The only equality of man that is true,” he wrote,“was taught by Jesus: ‘Do as you would be done by.’ The same Jesus taught ‘Render to Caesar the things that are Caesar’s.’’’ A second source of amelioration involved the inculcation of virtue and knowledge. 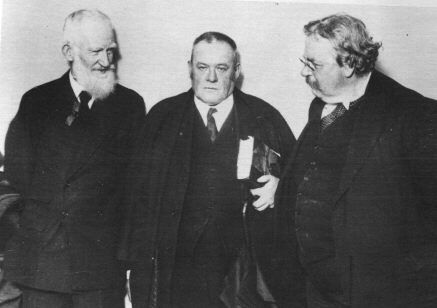 “The way to improve society and reform the world,” he admonished his readers, “is to enlighten men, spread knowledge, and convince the multitude that they have, or may have, sense, knowledge, and virtue.” The latter, in particular, required a negation of selfishness that would do much to mitigate the rapacity of the rich and the misery of the poor. Third, if the poor could be indoctrinated in the virtues of thrift and industry, if they could be taught that their property might be improved by hard work and self-denial, then much envy would be deflected and much social unrest averted. A more mundane key to peace was balanced government. 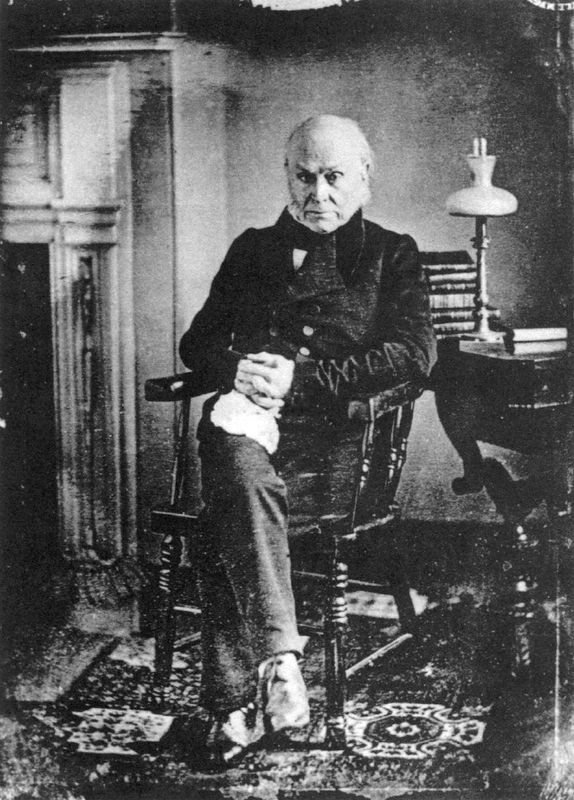 Adams argued that the Constitution had gone as far as man ought in establishing an “equality of rights.” The interests of the poor were balanced against those of the rich in the legislature, while the powers of the executive and those of the legislative and the judicial in turn were matched. The result, Adam hoped, would be an equilibrium of power (a balance of forces) that would prevent a factional or individual despotism. Cooke's essay is an insightful glimpse into the thought of one of our most philosophical founders. Well worth a read. 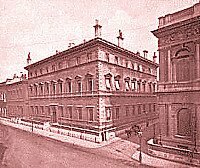 I've posted on this over at American Creation, but I thought I would share this post with the readers here at The New Reform Club now that we have just finished celebrating the Independence Day holiday. We pray Thee O Almighty and Eternal God! Who through Jesus Christ hast revealed Thy glory to all nations, to preserve the works of Thy mercy, that Thy Church, being spread through the whole world, may continue with unchanging faith in the confession of Thy Name. We pray Thee O God of might, wisdom, and justice! Through whom authority is rightly administered, laws are enacted, and judgment decreed, assist with Thy Holy Spirit of counsel and fortitude the President of these United States, that his administration may be conducted in righteousness, and be eminently useful to Thy people over whom he presides; by encouraging due respect for virtue and religion; by a faithful execution of the laws in justice and mercy; and by restraining vice and immorality. Let the light of Thy divine wisdom direct the deliberations of Congress, and shine forth in all the proceedings and laws framed for our rule and government, so that they may tend to the preservation of peace, the promotion of national happiness, the increase of industry, sobriety, and useful knowledge; and may perpetuate to us the blessing of equal liberty. We pray for his excellency, the governor of this state, for the members of the assembly, for all judges, magistrates, and other officers who are appointed to guard our political welfare, that they may be enabled, by Thy powerful protection, to discharge the duties of their respective stations with honesty and ability. We recommend likewise, to Thy unbounded mercy, all our brethren and fellow citizens throughout the United States, that they may be blessed in the knowledge and sanctified in the observance of Thy most holy law; that they may be preserved in union, and in that peace which the world cannot give; and after enjoying the blessings of this life, be admitted to those which are eternal. Finally, we pray to Thee, O Lord of mercy, to remember the souls of Thy servants departed who are gone before us with the sign of faith and repose in the sleep of peace; the souls of our parents, relatives, and friends; of those who, when living, were members of this congregation, and particularly of such as are lately deceased; of all benefactors who, by their donations or legacies to this Church, witnessed their zeal for the decency of divine worship and proved their claim to our grateful and charitable remembrance. To these, O Lord, and to all that rest in Christ, grant, we beseech Thee, a place of refreshment, light, and everlasting peace, through the same Jesus Christ, Our Lord and Savior. Amen. This is just one example of the devotional piety of the tiny and somewhat beleaguered English Catholic population of post-Revolutionary War America. Prior to the massive influx of Irish, German and then Italian & Eastern European immigrants starting in the 1840s, the Catholic faithful in the United States were relatively few in number and often a target for anti-Catholic demonstrations and propaganda. Despite this, the Catholics in early America tended to be a patriotic bunch, embracing the new Republic's guarantees of religious liberty and freedom of conscience. This embrace extended beyond the reach of mere politics, and affected the liturgical piety of the Catholic Church in the young United States -- an interesting example of how religious institutions not only embraced the new American order after the Revolutionary War, but worked to strengthen and support it. "A nation was born in a day"
The interest, which in this paper [the Declaration of Independence] has survived the occasion upon which it was issued; the interest which is of every age and every clime; the interest which quickens with the lapse of years, spreads as it grows old, and brightens as it recedes, is in the principles which it proclaims. It was the first solemn declaration by a nation of the only legitimate foundation of civil government. It was the corner stone of a new fabric, destined to cover the surface of the globe. It demolished at a stroke the lawfulness of all governments founded upon conquest. It swept away all the rubbish of accumulated centuries of servitude. It announced in practical form to the world the transcendent truth of the unalienable sovereignty of the people. It proved that the social compact was no figment of the imagination; but a real, solid, and sacred bond of the social union. From the day of this declaration, the people of North America were no longer the fragment of a distant empire, imploring justice and mercy from an inexorable master in another hemisphere. They were no longer children appealing in vain to the sympathies of a heartless mother; no longer subjects leaning upon the shattered columns of royal promises, and invoking the faith of parchment to secure their rights. They were a nation, asserting as of right, and maintaining by war, its own existence. A nation was born in a day. - John Quincy Adams, Speech on Independence Day, July 4, 1821. "Mrs Thatcher came only twice [to the Conservative Philosophy Group], once as prime minister. That was the occasion for a notable non-meeting of minds. Edward Norman (then Dean of Peterhouse) had attempted to mount a Christian argument for nuclear weapons. The discussion moved on to ‘Western values’. Mrs Thatcher said (in effect) that Norman had shown that the Bomb was necessary for the defence of our values. Mrs Thatcher looked utterly baffled. She had just been presented with the difference between Toryism and American Republicanism. (Mr Blair would have been equally baffled.)" There's been something of a trend in the last few years of biographers spending time and effort to recount the lives of American founders outside what some of us refer to as the "Top Tier" (Washington, John Adams, Jefferson, Madison, Hamilton). Books recounting the lives and work of Abigail Adams, John Jay, Samuel Adams, Charles Carroll, Thomas Paine and others are becoming more and more common. And on the whole, that is a very salutary development. Our Revolution and Republic were made not only by a relatively few great men, but by many people working (sometimes at cross purposes!) to build and "secure the blessings of liberty" for themselves and for their "posterity" (to quote the Preamble of the Constitution). One founder who has benefitted from this trend in biography is Virginian Patrick Henry. Once considered a major founder by historians, Henry's overall status has declined since the 1930's, when a fixation on those founders of long-ranging national stature took hold on most prominent historians and biographers. 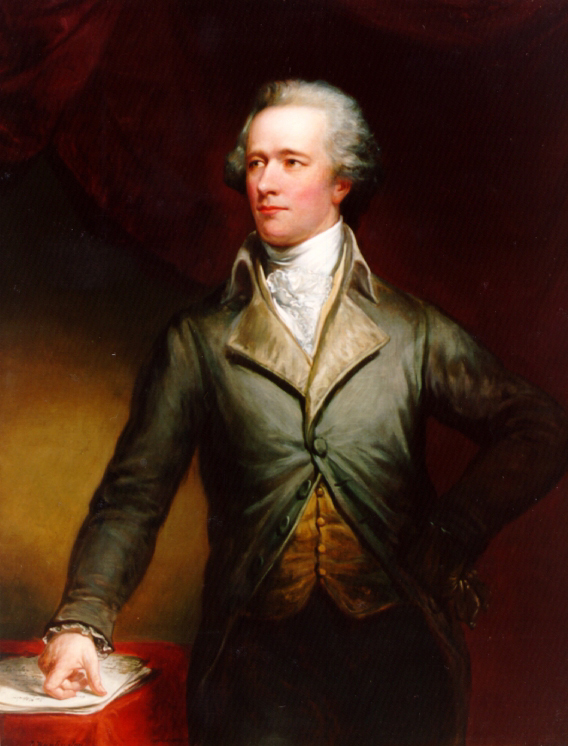 Fueled by the "Jeffersonian ends via Hamiltonian means" ideology of the Roosevelt administration, the focus on Jefferson in particular but also Madison and to a lesser extent Jefferson's nemesis Alexander Hamilton, shaped a good deal of popular history well into the current period. Patrick Henry, a politician who was most at home in Virginia and who never aspired to the presidency, was left behind -- a quirky, Southern, states-rights kind of founding father who was increasingly overlooked by an historical profession that was more and more enamored by the power of nationalized government. One book that seeks to bring Henry back into the limelight is Thomas S. Kidd's biography of the great Virginian, Patrick Henry: First Among Patriots (Basic Books: 2011). 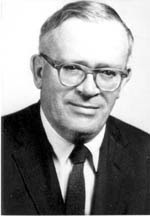 Kidd, who teaches history at Baylor University, has published extensively on American religious history, and he brings a keen eye towards the deep principles -- some religious, some secular -- that formed the foundation of Henry's career as a lawyer, patriot and politician. 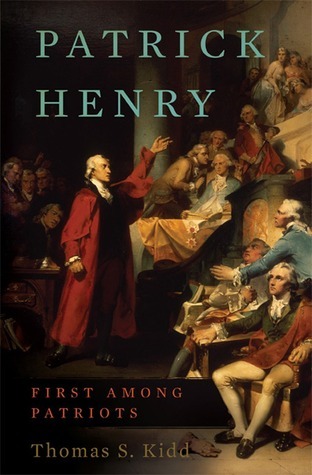 Kidd begins his biography with an overview of Henry's place in popular consciousness over time, detailing the ebbs and flows in the attention paid to him. Once the narrative turns to Henry himself, Kidd provides a detailed and contextualized overview of the broader social forces at work in Henry's life. Backcountry Virginia is described & explained, the impact of the Great Awakening is discussed and the beginnings of the crisis with Great Britain are set out -- all with an eye towards explaining how these broader forces worked to shape the social, theological and political environment in which Henry found himself. Insightfully, Kidd's exploration of Henry's world never falls into the trap of ascribing Henry's character and beliefs solely to the surrounding culture -- instead Kidd paints a nuanced picture of the interaction of Henry's own distinct personality with the institutions and issues of his day. And what issues they were! As Kidd notes, Henry was in the thick of virtually all of the major trends and episodes in the late colonial, revolutionary and early republic periods in American history. From the explosion in evangelical Protestant religiosity during the Great Awakening -- a religious fervor that without question accelerated the pace towards the Revolution -- to the fiery debates over American independence, Henry was there, consistently struggling against the notion of centralized government authority under the crown. Then, after the Revolution's success, Henry took up again the banner against centralized authority by becoming a leader in the fight against the ratification of the current Constitution, preferring the looser form of national government provided by the earlier Articles of Confederation. With the Constitution's passage, Henry became a leading voice against the Federalist majority during the Washington administration and the first part of the Adams' administration. Then, alarmed at the growing radicalism of Jefferson and his emergent Democratic Republican political party, Henry made the choice to defend the principles of order and the rule of law against what he saw as the the corrupt and violent disposition of Jefferson and his disciples. Even the passage of the Alien and Sedition Acts could not persuade Henry to join the Jeffersonians. Instead, he held his tongue in spite of private opposition to the Acts, and endorsed fellow Virginian, Federalist and future Supreme Court Chief Justice John Marshall for a seat in Congress. Thanks to Henry's support, Marshall won a narrow victory. Thus was Henry's way paved towards a role at the end of his life as a major player in national politics. Amongst other strange things said of me, I hear it is aid by the Deists that I am one of their number, and indeed that some good people think I am no Christian. This thought gives me much more pain than the appellation of Tory, because I think religion of infinitely higher importance the politics, and I find much cause to reproach myself that I have lived so long and have given no decided and public proofs of my being a Christian. But indeed by dear child this is a character which I prize far above all this world has or can boast. With the rise of the Jeffersonian Republicans and their flirtation with French-influenced political ideology, Henry took stock of the times and make a momentous political move. At first privately and then publicly, he shifted to the Federalist Party, allying himself directly with his former opponents. From a critic of the Constitution he became one of its most ardent advocates, defending loudly the national charter that he had so resolutely opposed. For Henry, what was at stake in the Federalist-Jeffersonian struggle was the notion that free and republican government was possible only with a virtuous and devout citizenry. As Kidd reports, Henry wrote a scathing denunciation of the ideology of the French Revolution, going so far as to state that it was, in Henry's words, "destroying the great pillars of all government and of social life; I mean virtue, morality and religion." It was to prevent this acid ideology from warping the American experiment in ordered liberty that Henry embraced his former enemies in the Federalist Party. Kidd does a very solid job of describing the different intellectual components of Henry's political career. As an historian of religion, Kidd pays particular attention to the spiritual beliefs that animated Henry, both in his private and public life. Henry's commitment to both established religion and religious liberty are explored, with Kidd providing particular detail to Henry's early prominence as a trial lawyer defending religious establishment in colonial Virginia. Kidd demonstrates that Henry's early support of establishment in Virginia was of a piece with his concern over centralized authority -- by emphasizing that it was the Virginia colonial government that established religion in the colony, Henry struck a blow against royal control of the Christian churches in Virginia. Since the church was established by the colony rather than by the crown, the church was accountable not to the King but to the colonial government and its laws. The clergy's civil appointments could therefore be revoked by the colonial government if the clergy sided with the King against the Virginia authorities. Thus colonial establishment of religion, for Henry, was a key institutional limitation on the power of the crown, reinforcing the decentralized nature of the British Empire while at the same time strengthening local allegiances and local accountability. As such, establishment was a tool that could be used to expand the liberty of the colony, providing a buttress to its efforts at local control. In addition to detailing the efforts Henry made throughout his career to advance the cause of liberty, Kidd does not shy away from the great stain on Henry's political life, his defense of the institution of chattel slavery. Like many of the founders, Henry was quick to denounce slavery in the abstract while clinging tightly to the institution in practice. Henry's practical embrace of slavery included engaging in the odious slave trade, oftentimes clouded with a great deal of self-delusion about the moral virtue of the act of buying and selling his fellow human beings. Kidd recounts one episode where Henry sought to purchase slaves from a neighboring estate he was attempting to buy. "Henry was concerned that they [the slaves] were too expensive," Kidd recounts, "but in a magnanimous tone he wrote that 'they are so extremely desirous of staying with me, I consent to take them.'" Henry here manages to turn his act of buying human flesh into an act of kindness towards those enslaved. As Kidd notes, Henry's talk of liberty and his anti-slavery rhetoric aside, the Virginian "would never fundamentally alter his attitude about trafficking in slaves." Enmeshed in an economic system built on slavery, Henry's own wealth and privilege were dependent on the peculiar institution. "Land and slaves," as Kidd explains, "were Henry's means of securing his financial security." In the last chapter of the book, Kidd provides a even-handed evaluation of the political principles that undergirded Henry's views. Detailing the use and in some cases the abuse of Henry's memory by both liberal and conservative partisans, Kidd does a solid job of conveying the complexities of Henry's views and how different his concerns were from those of the modern era. At the same time, Kidd notes that Henry was of all the major founders the most religiously orthodox, holding to the basic tenants of Anglican Protestantism. Henry also held a solid conviction in the need not only for localized government but also for public morality -- for the governing structures of a society to be grounded on virtue and the common good. As Kidd writes, if Henry were to come back today, his message would be challenging to all the major players in our political climate. "True freedom, he might warn us, lies not in doing whatever we want. Freedom is doing what we should do, for the sake of community and the republic." Patrick Henry deserves far more attention today than he is getting. Kidd's book goes a long way in correcting that problem. It is well worth reading. 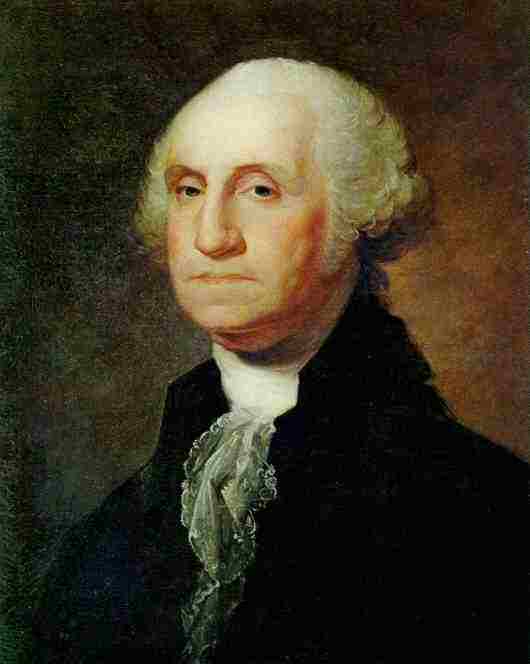 George Washington's pronouncements regarding civic religion were usually couched in general language. He rarely referred to God in specific confessional terms, for example, but rather used generalized language that reflects often common 18th century Deistic terminology. This use of generalized language was often paired with terminology designed to appeal to religious believers of a more orthodox Christian persuasion. Second, Washington further reinforces the importance of God's action in human events by commending the state governors and their respective states to divine care. "I now make it my earnest prayer," he writes, "that God would have you and the State over which you preside, in his holy protection[.]" Washington then states that he hopes that God would move the citizens of the country to "cultivate" a host of proper civic virtues: obedience to governmental authorities, fellow-feeling for each other -- both fellow citizens and particularly for the returning veterans of the Continental Army -- and, most interestingly, to emulate those virtues "which were the characteristics of the Divine Author of our blessed religion[.]" (Italics in the original.) After including a brief and common list of those virtues, Washington states that without "an humble imitation" of the example of the Divine Author, "we can never hope to be a happy nation." What one sees in Washington's Circular Letter is language used that is non-confessionally specific, but which takes for granted certain key religious ideas: 1) God is active in human affairs, moving human beings towards greater goodness and social solidarity; 2) because of the advantages they benefit from, the citizens of the United States are responsible for their freedom and happiness; and 3) human beings are called to imitate the attributes of God as He has revealed them. While Washington's Circular Letter is not a fully developed treatise in civic theology, it does manifest the key points of Washington's own views about the role of religion in human society. And Washington's vision in that regard was one that viewed religion as a positive force in human life and civic affairs. It is not, to say the least, a vision of civic life that is hostile to religious faith. While couched in language that is not expressly orthodox, it is couched in language that is certainly amenable to orthodox interpretation. Far from religion ruining everything, to borrow a phrase from the late Christopher Hitchens, in Washington's Circular Letter religious faith stands as the well-spring for civic virtue and human happiness. "A free society is by definition a pluralistic society"
Most Americans today accept it as an axiomatic truth that we live in a free society. I often wonder, however, how many of us realize that a free society is by definition a pluralistic society. A pluralistic society is one in which there are many different centers of authority, influence, and opinion, competing with one another, arguing with one another, trying by various means to expand their spheres of influence, and producing a great variety, richness, and animation. In such a society there is no single voice, government, cultural, ethical, religious, or social. There are many voices, each speaking from its point of view and striving to maintain itself in the general competition for belief and support. In direct contrast stands the monistic ideal of society, experienced by many millions of persons in other lands, which does have only one voice, and which works by many means toward effecting a unanimity of opinion, belief, and sentiment on all the issues of this life. That system bears the name totalitarian, and it is by now an obvious fact that these two are engaged in a gigantic rivalry to capture the imagination of the world. - Richard M. Weaver (1910-1963), Responsible Rhetoric, reprinted in In Defense of Tradition: Collected Shorter Writings of Richard M. Weaver, 1929-1963, edited by Ted Smith III (Liberty Fund: 2000), pgs. 290-291.